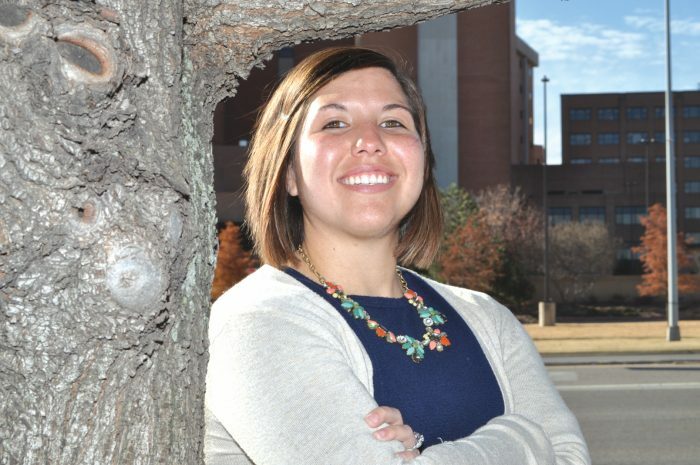 Meagan Barker, RN enjoys her job in the ICU Cardiothoracic at Integris Baptist Hospital. “Working with amazing doctors and nurses is a big plus,” commented Meagan. 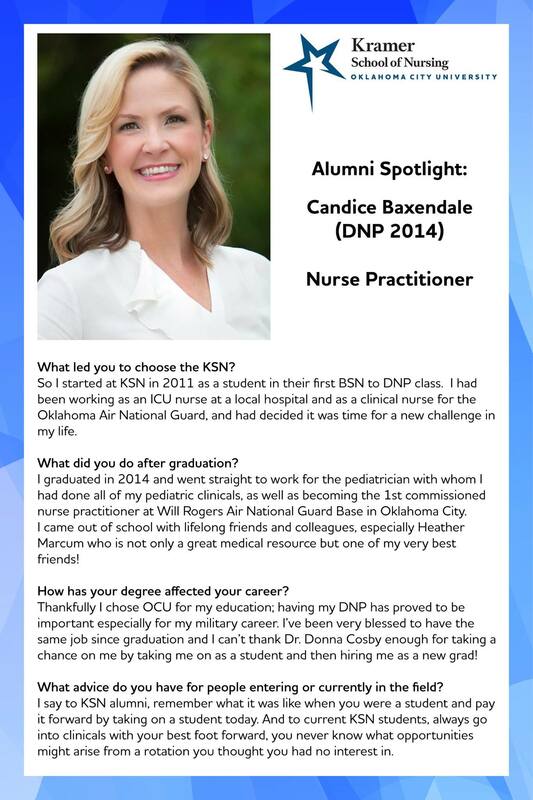 Born and raised in Oklahoma City, OK, Meagan Barker, RN enjoys her job at Integris Baptist Hospital. Meagan works in the Cardiothoracic ICU. Meagan has been a nurse for 6 years and has worked at Integris for almost 4 years. “I just love my job here at Integris. I feel like I am really contributing to a loved one’s life,” she said. 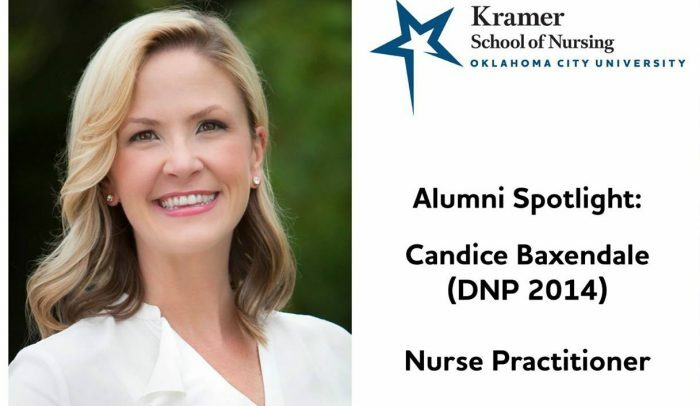 Meagan attended Oklahoma City University for her nursing degree. When I asked Meagan what she wanted to be when she was a little girl, she answered, a chef. 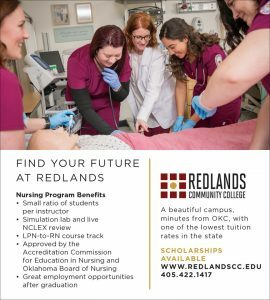 “My mom (who is also a nurse) persuaded me to go in another direction, so I decided that I would go for the nursing career instead. I have always had a desire to help others. Also, at one point, my aunt had cancer and was sick. I knew she was dying. I spent a lot of time at the hospital with my mom and I saw how the nurses were so compassionate and how helpful the nurses were. That was when I wanted to take care of others just like they did,” she said. What qualities make a good nurse? 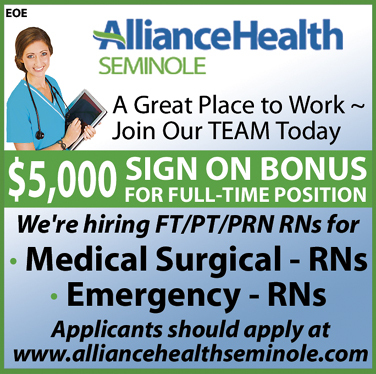 “I think a nurse should have excellent leadership skills, and excellent communication skills. They also need to be very personable with the patients, knowing that compassion is everything,” Meagan replied. “I feel like communication is so important for teamwork. I am so fortunate to work with some amazing nurses. Teamwork makes dream work. A nurse needs to know how heavily they rely on each other as a team. Like on a ship, if one doesn’t have teamwork, one drowns, they all drown,” Meagan said. Meagan’s favorite part of her job is taking care of the patients. “Not only are my co-workers amazing, I also get to meet the different families, forming a bond between us. It’s a nice feeling,” Meagan added. A typical day for Meagan begins early. “From the minute I walk into ICU, there is so much going on. We basically hit the ground running; Beeping alarms are heard throughout the day, never a quiet moment. Doctors and nurses are with the patients. After the many procedures are done and the patients are helped, the end of the work shift has come. We know we have had a productive day, helping others and we know that it is all worth it. It is a feeling of satisfaction that no one can take away,” Meagan said. Meagan’s spare time include spending time with her husband and family. One of my passions in life is running. I also like to cook. If I wasn’t a nurse, I would choose to own a bed and breakfast with a huge kitchen and add a bakery onto the side, she said with a smile. What advice would you give to someone going into the medical field? “I would tell them the same advice someone gave me when I started. The honeymoon phase will start to wear off and when it does, take the time to celebrate the small things. 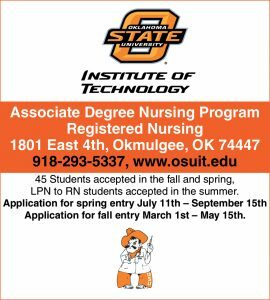 The best thing about nursing is there are tons of opportunities for us. 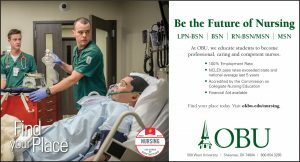 If you don‘t like one type of nursing, there is another type to choose from. 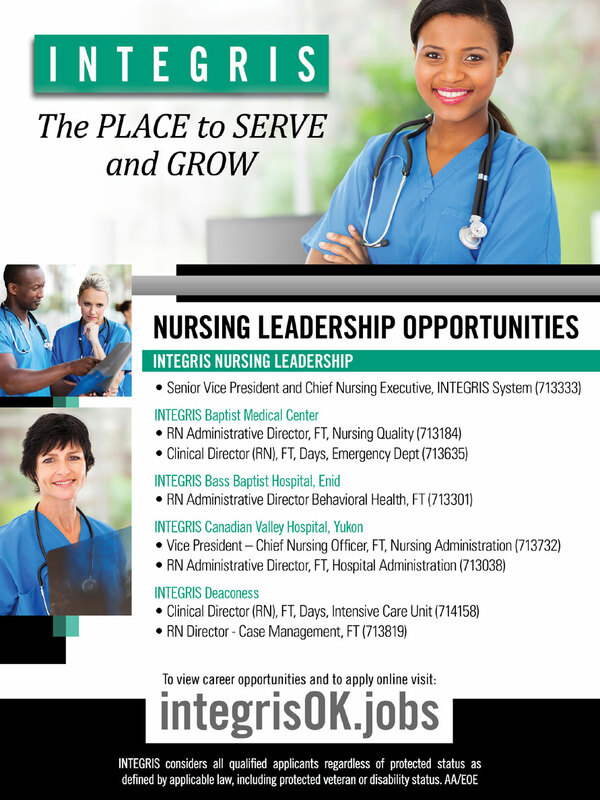 Become a well-rounded nurse,” Meagan said. I asked Meagan to describe herself. 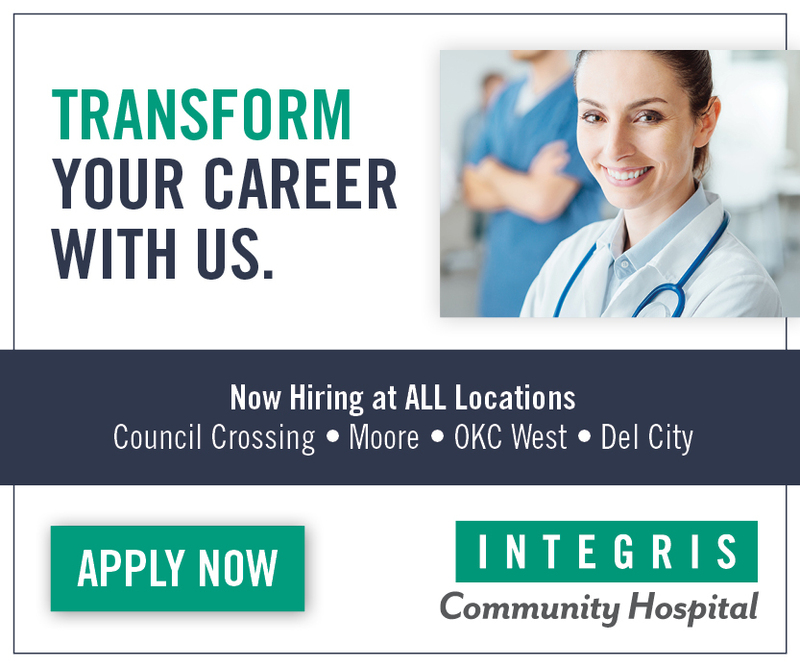 “I am a very caring, compassionate, goal oriented RN that works in the cardiothoracic ICU at Integris Baptist Hospital. I am proud to serve in the Army and Army reserves, unit 94th combat support hospital. I became a nurse to make a difference and help people. I love running with a passion; it is my stress reliever and after a very long day/week/month/year. Like being a nurse and running, I will never get tired of either one,” Meagan replied. INTEGRIS considers all qualified applicants regardless of protected status as defined by applicable law, including protected veteran or disability status. 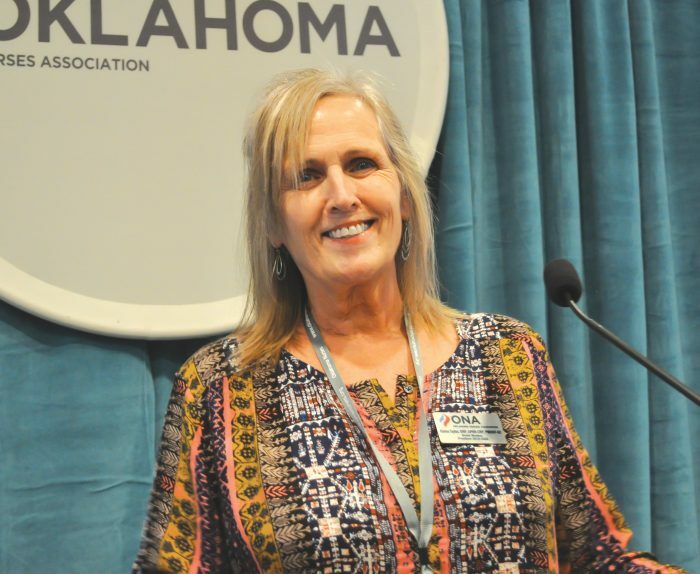 Karen Taylor, DNP, APRN-CNP, PMHNP-BC and the Oklahoma Nurses Association focused on the impact and threat of violence in the profession during their recent annual convention. 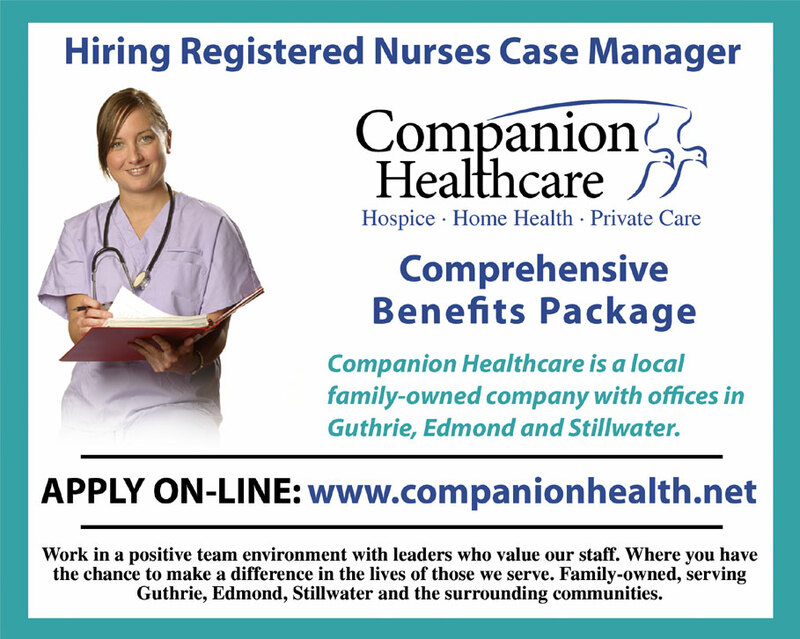 Karen Taylor, Oklahoma Nurses Association President, worked in psychiatric nursing for a number of years. The fear of an unstable patient becoming aggressive was always a real possibility every time she set foot on the unit. 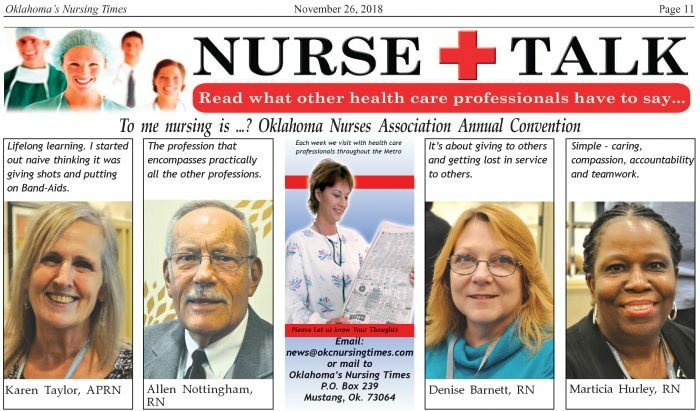 But the increasing threat of violence in many more nursing environments has the president of the Oklahoma Nurses Association on edge. Taylor was speaking at the annual ONA Convention, held in Tulsa recently. This year’s convention – Empowering Nurses: Inspire, Innovate, Influence – focused, in part, on violence in the workplace and offered nurses solutions to help them better protect themselves. According to the federal Occupational Safety and Health Administration, healthcare workers are at an increased risk for workplace violence. From 2002 to 2013, incidents of serious workplace violence (those requiring days off for the injured worker to recuperate) were four times more common in healthcare than in private industry on average. In 2013, the broad “healthcare and social assistance” sector had 7.8 cases of serious workplace violence per 10,000 full-time employees. Other large sectors such as construction, manufacturing, and retail all had fewer than two cases per 10,000 full-time employees. Speaker after speaker – from emergency room to women’s health clinic settings – shared their experiences with violence in the workplace during the ONA’s annual event. Speakers from law enforcement and hospital security were also invited to share their perspectives and advice to the nursing profession. Workplace violence consists of physically and psychologically damaging actions that occur in the workplace or while on duty, according to the National Institute for Occupational Safety and Health. The Bureau of Labor Statistics releases an annual report about injuries and illnesses resulting in time away from work in the United States. In the health care and social assistance sectors, 13% of days away from work were the result of violence in 2013, and this rate has increased in recent years. Examples of workplace violence included direct physical assaults (with or without weapons), written or verbal threats, physical or verbal harassment, and homicide. The profession has always been one where nurses feel enduring a certain amount of violences is just part of the job. “Part of it is perhaps (nurses) don’t know where the line is,” Taylor said. “Part of it is they don’t know their rights basically in situations like that. They probably need more education coming out of nursing school. “I know when I was teaching I had nurses who told me they didn’t know about mental health because they were going to work in a medical hospital. The two-day event also afforded nurses the opportunity to network and discuss evidence-based practice happening at their respective facilities. At Total Foot and Ankle, you will find Dr. Scott Shields, DPM, podiatry specialist. 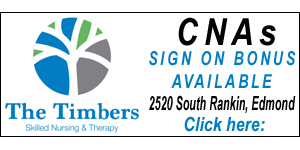 You will also find Tina Bridges CPMA, who has worked for Dr. Shields for 6 years. Did you know that much of your physical pain stems from your feet and that pain can be eliminated? Welcome to Total Foot and Ankle, located at 3330 N.W. 56, Suite 6, in Oklahoma City, OK. Here you will see Dr. Scott Shields, a podiatry specialist. You will also see Tina Bridges, CPMA. Tina grew up in Wetumka, Oklahoma, a small town in S.E. Oklahoma. 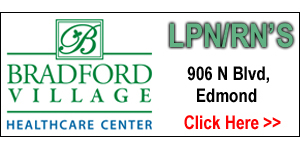 “I have worked with podiatry for a little over 20 years now, working for different doctors in Oklahoma City. I have been at this location, working for Dr. Shields for 6 years. I love my job and can’t see doing anything else,” Tina said. Tina’s typical day at work varies from day to day. “We see about 20 to 30 patients a day but that can change at the last minute, depending on different factors, like the weather or the patient’s situations. I take the patient back to the room and find out what is going on with them. Most of the time, the patients come in and their feet are killing them. They want some relief and that is what we are here to do. After an x-ray and talking to Dr. Shields, he has an answer for the patient,” Tina said. “I go over the treatments with the patients. We try to take care of the patient’s problem as soon as we can. We try to make the patient feel as comfortable as we are able,” Tina said. What qualities make a good nurse? “Well, I think a nurse needs a lot of patience for her patients. The way I see it, you have to listen to your patient and focus on what they need ASAP. My biggest challenge is when the patient doesn’t listen to the doctor, and they really don’t do what he is telling them to do. When they don’t listen to the doctor, really listen, it slows down their healing process and sometimes, if they don’t comply, it is like a step back and it puts them back to when they first came to see Dr. Shields,” Tina replied. “My advice, do exactly what Dr. Shields says to do,” she added. What advice would you give someone going into the medical field? “The best thing I could tell someone is, pay attention no matter what! You are there to learn. Do not quit! When you work for a doctor, cling to his every word. If you do dictation for him, it has to be right! Why, it has to be perfect! One little mistake could make a big difference,” Tina replied. Now, a few facts about Tina. When Tina was a little girl, she had a dream of being a racecar driver. Tina has two sons 32 and 21. She has two dogs; one Blue Heeler, Herder and one Mutt, Sissy. Tina’s hobbies include gardening, anything outdoors, pool side entertainment and the most exciting hobby, RACING CARS. She grew up racing cars at the fairgrounds on the dirt track. She loves the NHRA (National Hot rod Association) racecars and NASCARS. (National Associate for Stock Cars) Tina, a sweet and gentle person at work, a need for speed, racing cars in her spare time! Ha…Who would have known? 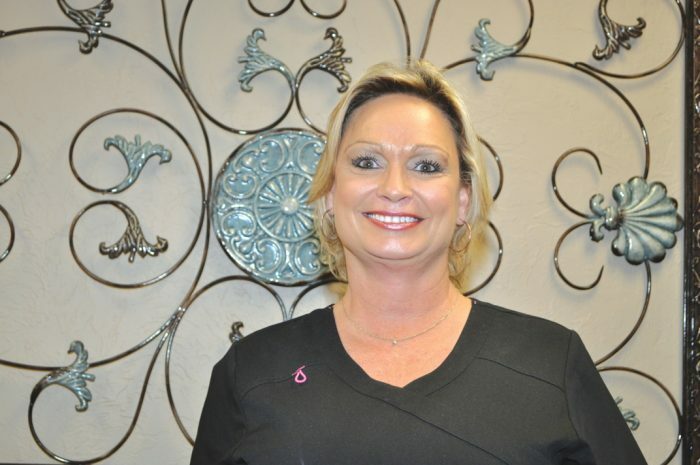 All in all, Tina is a loving, caring individual that takes care of the patients. She is also a bit of a dare devil, seeking the adventurous life on a race track! Tina, you have the bests of both worlds! NURSE TALK: To me nursing is …? Lifelong learning. I started out naive thinking it was giving shots and putting on Band-Aids. The profession that encompasses practically all the other professions. It’s about giving to others and getting lost in service to others. Simple – caring, compassion, accountability and teamwork. 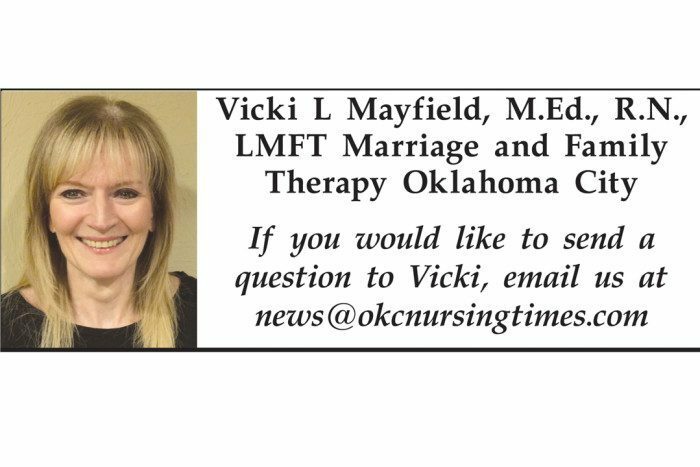 ASK VICKI: Q. I work in health care. I am disillusioned and stressed. 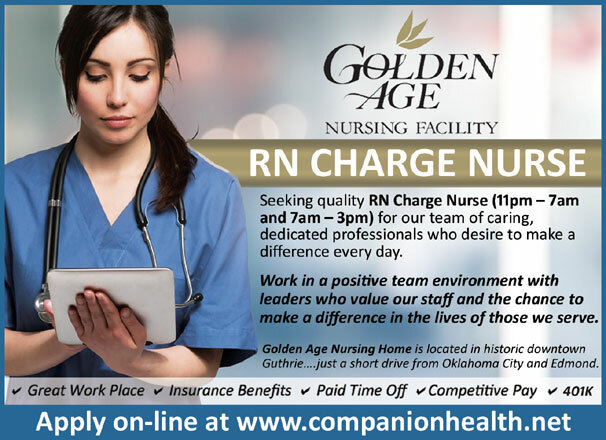 * Bedside nursing – I love taking care of my patients. * 12 hour shifts – Sometimes the 12 hours can be very demanding and tiring but it helps me have more time with my family. 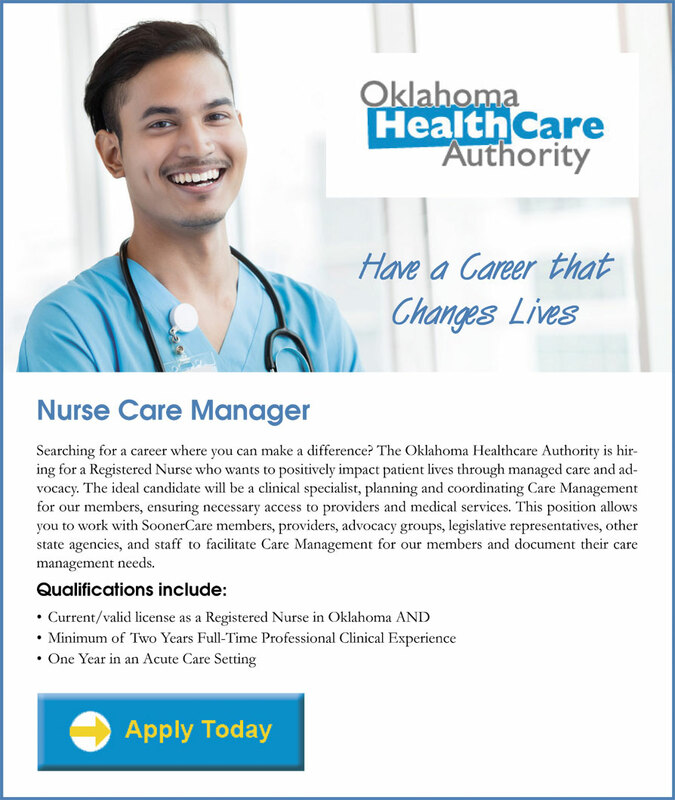 * Flexibility and opportunity – There are many different types of nursing, i.e., hospitals, clinics, nursing homes, rehab centers, etc. * Education – I have so many opportunities to advance my knowledge and continue learning. * Benefits – The insurance appears to be good even though my co-pays have gone up. * Unappreciated – I can count on one hand the number of times in the past few months that I have ever received a “good job” from my manager. 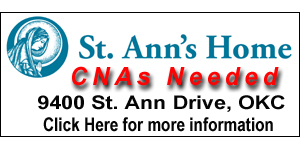 * Understaffed – I usually arrive in a good mood and often I find out that we do not have enough nurses and I will now have 6 or 7 very sick patients to provide quality care and keep my pleasant attitude. * Secretarial Duties – I did not go into nursing to spend so much damn time in front of the computer doing mindless charting, answering phones, making copies, etc. * Too many hats – I am a nurse and a secretary but I am spending way too much time with mindless charting and answering the endless phone calls. 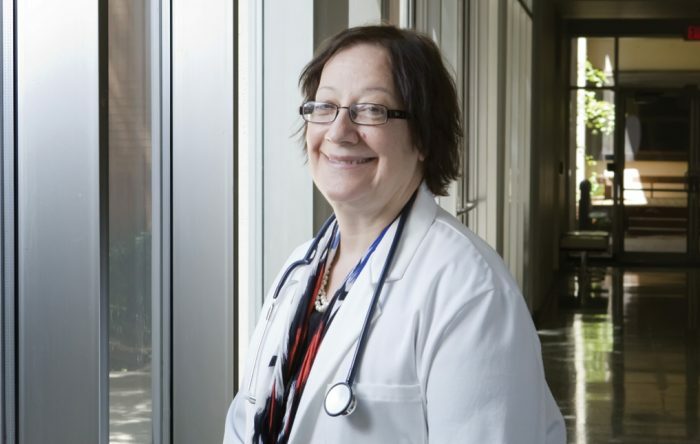 OMRF immunologist Joan Merrill, M.D. The federal grants span from two to five years and will support the work of a pair of OMRF scientists who are investigating different aspects of autoimmune disease: Judith James, M.D., Ph.D., and Joan Merrill, M.D. In autoimmune disease, the body mistakenly turns its immune system against itself. Researchers have identified more than 80 autoimmune illnesses, including lupus and rheumatoid arthritis. Together, these conditions affect as many as 23.5 million Americans. Designated by the NIH as one of only 10 Autoimmunity Centers of Excellence in the U.S., OMRF has long been recognized as a world leader in autoimmune disease research and treatment. OMRF’s clinics provide comprehensive care for patients living with these illnesses, and the foundation’s scientists have played a role in identifying 65 of the 101 known genes for lupus. * A $4.37 million grant to James to better understand autoimmune illnesses characterized by pain in the muscles and joints. The project, called the Oklahoma Rheumatic Disease Resources Core Center, will provide resources to help scientists investigate and uncover potential treatments for diseases such as lupus and rheumatoid arthritis. The project is supported by the NIH’s National Institute of Arthritis and Musculoskeletal and Skin Diseases under award number P30 AR073750. * A $1 million award to Merrill to improve recruitment of minority patients to clinical trials of new therapies for lupus. * A $350,000 grant to Merrill to study the impact of common lupus treatments on the degree to which specific genes are making blueprints (RNA) for proteins that regulate the immune system. This will allow better selection of therapies for individual lupus patients based on their underlying immune profiles. Funding for these projects will be provided by grants from the Dept. of Defense/U.S. Army Medical Research Acquisition Activity (W81XWH-18-1-0693), and the Department of Health and Human Services Office of Minority Health (CPIMP181167).